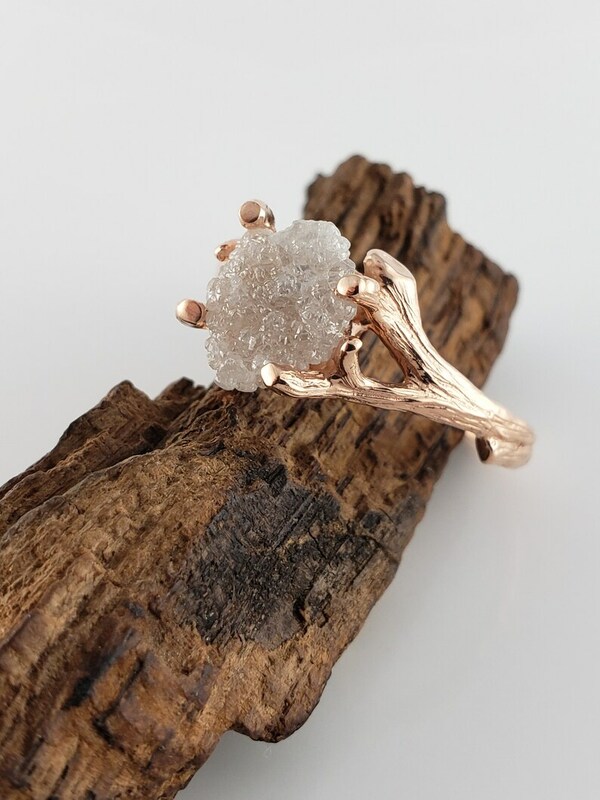 AVAILABLE NOW - Twig Bridal Ring using a White Uncut Rough Diamonds in Rose Gold. I wanted to create a beautiful yet elegant Twig Engagement Ring using a Rough Uncut Diamond, so I sculpted the branch to focus on the diamond. ● Your ring will come a black velvet ring box.